Create a sanctuary to escape from your day's troubles with this panel bed. 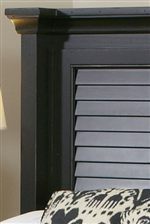 The piece carries an antique black or white finish and features consists of MDF and poplar solids. The panel headboard and columns add a traditional appeal. Plus, the footboard has two drawers that are great for keeping pillows, blankets and bedsheets. There will be so much to like with this panel bed in your room. The Ravenswood Queen Panel Bed w/ Storage Footboard by Folio 21 at Zak's Home in the Tri-Cities, Johnson City, Tennessee area. Product availability may vary. Contact us for the most current availability on this product. Create a sanctuary to escape from your day's troubles with the Ravenswood and Stoney Creek collections. Most pieces carry a choice of an antique black or white finish and consist of MDF and poplar solids. Featuring a chic country look, this group showcases details such as shutter headboards, fence-like chair backs, and weathered bail hardware. For a warm and inviting home, look no further than the Ravenswood and Stoney Creek collections. 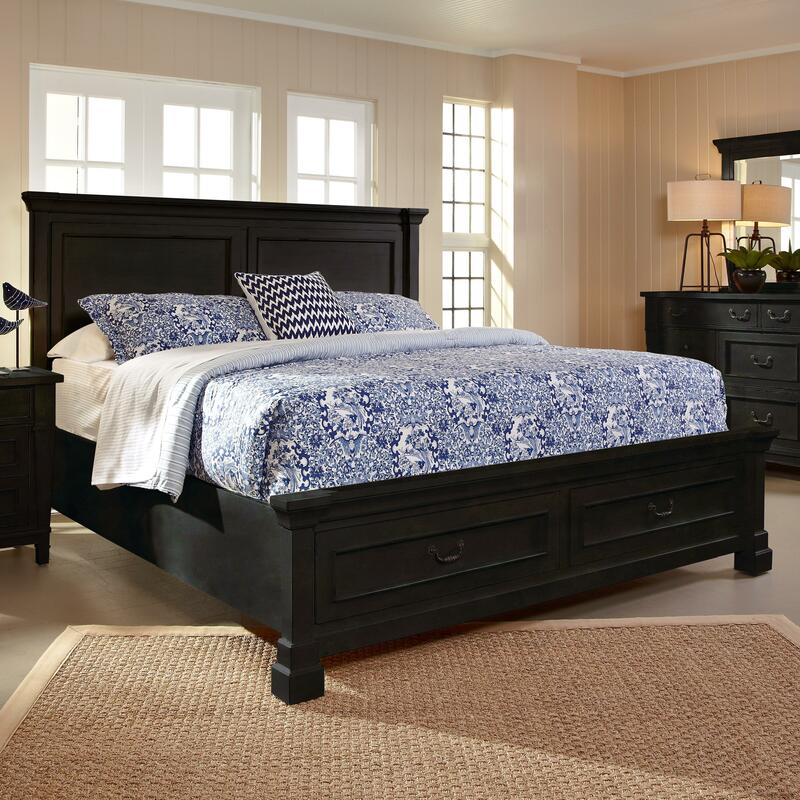 The Ravenswood collection is a great option if you are looking for Transitional furniture in the Tri-Cities, Johnson City, Tennessee area. Browse other items in the Ravenswood collection from Zak's Home in the Tri-Cities, Johnson City, Tennessee area.